A typical shrine of Vishnu and consorts but of poor quality. 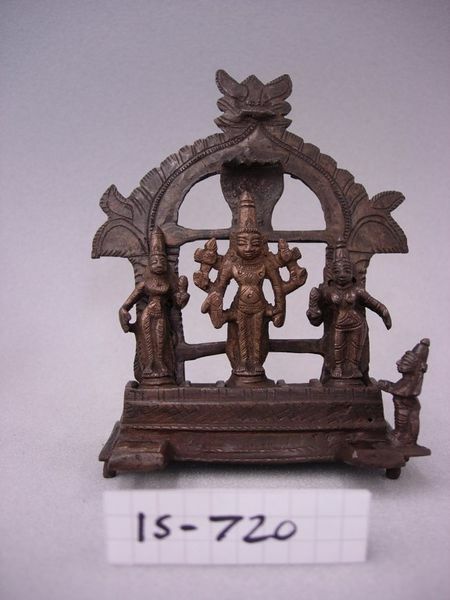 Originally cast in seven pieces one small figure (probably Hanuman) is missing from the front of the base. Transferred from the India Museum in London to teh South Kensington Museum ( now the V&A) in 1879. 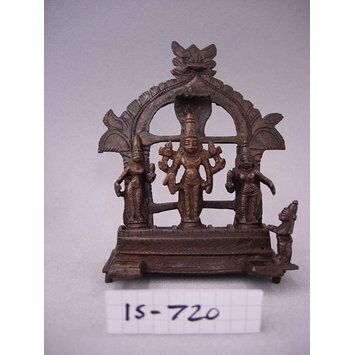 Vishnu shrine with consorts, South India, bronze, 1800-1850.